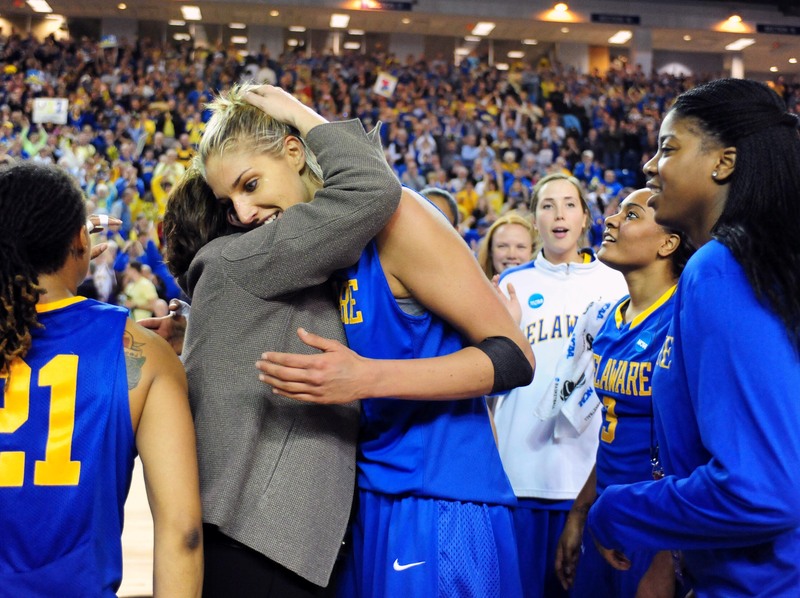 Behind every triumph and heartbreak in the NCAA tournament, there’s a story. The Players’ Tribune presents Tales of Madness, a series of first-person accounts from iconic basketball players recalling their most memorable tournament experiences. 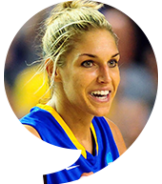 In this installment, Elena Delle Donne recalls leading Delaware, her hometown school, to its first-ever Sweet 16. I could have stayed at Connecticut. I could have won multiple national titles. I didn’t, and I regret nothing. My entire basketball career, from childhood through college, took place in the state of Delaware. The same people watched me grow as a player and as a person; they went through the ups and downs with me. There, I was able to achieve the unthinkable. 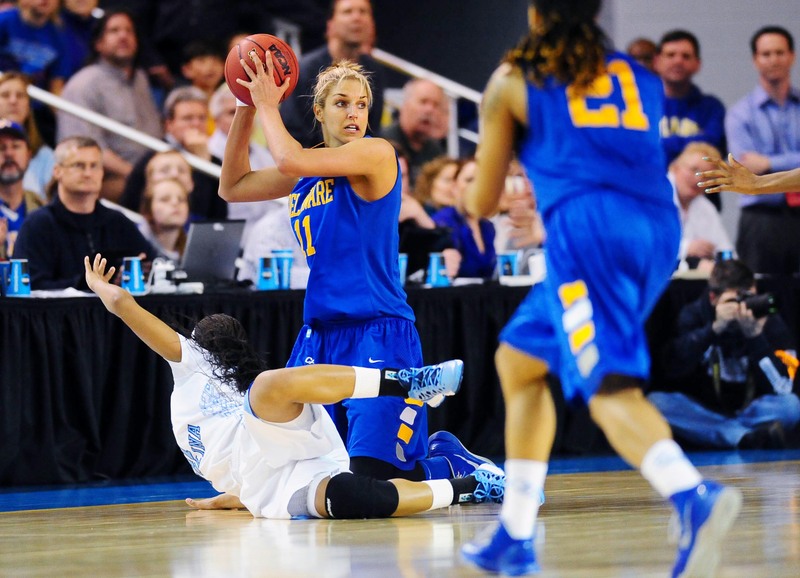 In 2012, we brought the University of Delaware women’s team its first-ever NCAA tournament win. The next year — my senior year — we went to the Sweet Sixteen. To bring prominence and excitement to the state and the university — my two homes — that’s more important than a championship. I believed that all along but I never felt it more than when we played against North Carolina in the 2013 NCAA tournament. That was my last-ever home game at the Bob Carpenter Center, our home court. That was also the best game I’ve ever played. We were coming off a huge season the year before. We went undefeated in the CAA, and everyone expected more, bigger things. We were a veteran team. We knew pressure well and moreover, how to get through it. Given Delaware was a mid-major school and we didn’t have a top national ranking, every game my senior year was important. Winning is the only way to get the at-large bid to go to the NCAA tournament. So that’s what we did, even as teams gave us their best game, each game. It was refreshing to go into the tournament as the underdog. The outside pressure shifted inward, though. I knew this was my last tournament, and when we came up against North Carolina, I knew it was my last game at the Bob. I’d played there since 8th grade — half of my life. I couldn’t go out on a loss. That was my biggest motivation. 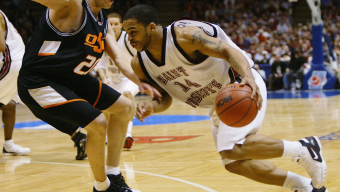 The media hype around the NCAA tournament, combined with the rapidly growing interest in the Hens and myself as a player, was nothing like I’d seen. People had never really seen me play before; we were never really on the national stage. When we finally were and people saw how good our team really was, they took serious notice. Social media wasn’t quite what it is today but in those first few days, my Twitter followers went from just above zero to about 30,000. I had NBA players reaching out to me. Kevin Durant sent me a message, saying, “Hey, I’m rooting for you. I love your game.” I’ve always tried to emulate my game after his because we’re both really long but we’re still versatile players. When I read his note, I took a deep breath and thought, Is this real life? We stayed at a hotel the night before the game because our coach didn’t want us to get distracted on campus. I woke up next to my teammate Kayla Miller in our shared room. Kayla and I played basketball together in high school so rooming with her gave me instant comfort. Aside from the hotel, it was kind of a normal day. We had a team breakfast, boarded the team bus, went to the shoot-around and went back to the hotel. I tried to nap but I was too antsy. I passed the time by watching TV until we got back on the bus. There, I was focused. I ran through game-time scenarios in my head. I studied the playbook. We’d only had one day off between games so we couldn’t study film thoroughly. I did watch some tape of North Carolina during short sessions with Coach Martin, but when you get to that point, it’s not really about the other team. It’s about what you put out there. It was about us. In the locker room, I put my jersey on, strapped my shoes up the same way I’d always done and started shooting around. The routine had taken over. Coach Martin warned us about North Carolina’s size. She’d also warned us that at the beginning of the game, their speed would be a bit of a shock, especially in transition. We would have to take that first hit and adapt. We always do. She was right. When the game started, I immediately thought, God, this group —they’re huge and they’re fast. But five minutes went by, we caught our breath and we were able to control ourselves. I reminded myself to settle in but the gym was louder than I’d ever heard. We had the home crowd, and you could feel the vibrations of the fans on the court. It was unreal. It seemed like everyone in Delaware was there — cheering, stomping, propelling us to win. Even Vice President Joe Biden was there. Later, after the game, Rebecca Lobo said that of all the games she’s called, she’d never been in an atmosphere that crazy. It felt like the building was going to collapse. Five minutes in, and my focus locked. My shot was falling, and I felt … good. Just before the half, I got the ball and hit a three. We were down but now we had momentum. In the locker room, Coach Martin was clear with her message: we’re going to make a push and we’re going to win. We had our fans behind us. This was our game. The momentum carried through to the second half. Our offense was fluid. When North Carolina double-teamed me, a teammate would step up and bring the ball up against the pressure. They were prepared for me to score but when our other players started putting up points — really dominating — they didn’t know what to do. They didn’t plan for that. There comes a point in a game when you start chipping away at that lead, and you can see in your opponent’s eyes fear and panic. That’s when you know you have them. 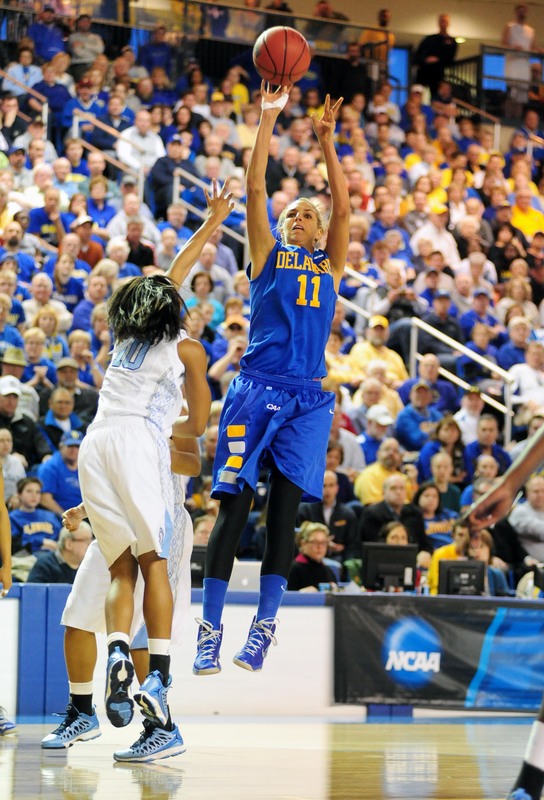 I remember the series of moments when I knew it was ours: Our point guard, Trumae Lucas, just turned it on. She drove to the basket once. Then twice. And again. They could only foul. She was unstoppable. My shot continued to fall. I didn’t know it at the time but in that game, with my 33 points, I’d surpassed 3,000 points all-time in my career at Delaware. As incredible as that achievement is, it wasn’t about me. All I cared about was that we scored more than the other team. After the last media timeout, I pulled the other four girls on the court from my team together. This is our game. We’re winning this game. I screamed with confidence. All of them looked right back at me with fiery eyes. They knew it, too. The clock ran out. I was overwhelmed. I had chills throughout my whole body. Our team had never played a more perfect game. My whole family was there — that, above all else, was everything. I looked at them and couldn’t help but cry. They’d always believed in me, even when everyone else didn’t. I couldn’t have painted a better picture or written a better story. It all came together. 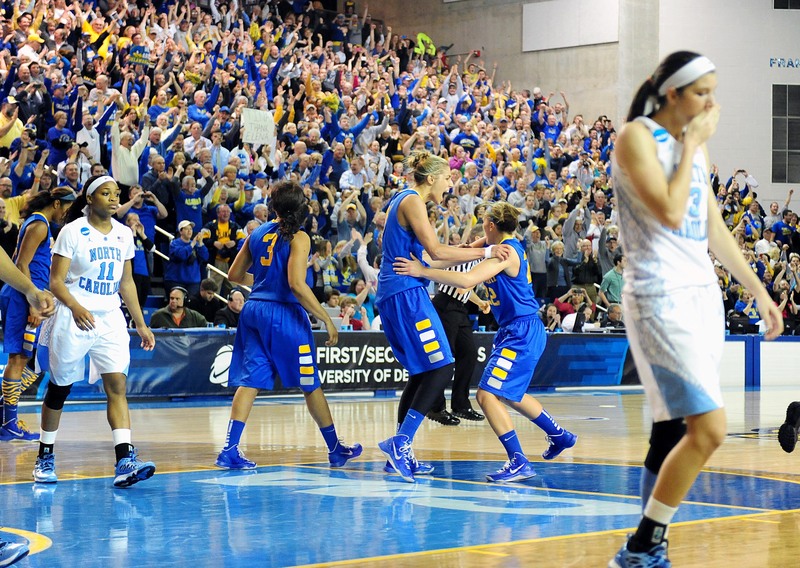 I said goodbye to my home with a win, and Delaware was headed to the Sweet Sixteen for the first time. Every decision I had made up until then — no regrets. For more Tales of Madness, visit our Tales of Madness page.